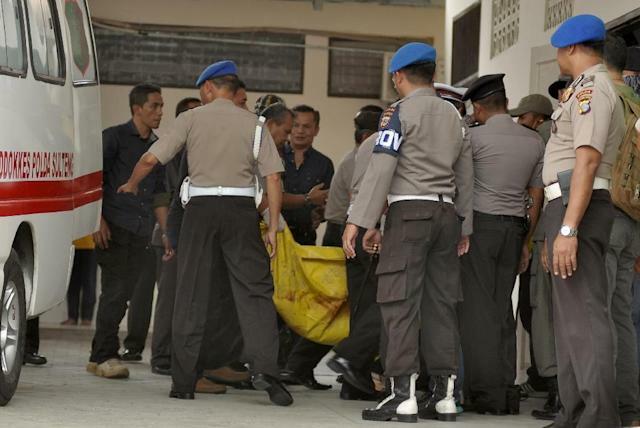 Santoso, the leader of the Eastern Indonesia Mujahideen, was shot dead on Monday on mountainous Sulawesi island, where he had been hiding out in the jungle with a small band of followers. His death is a major victory for authorities in the world's most populous Muslim-majority country who had pursued the extremist for five years, sending thousands of security forces to hunt for him. His group carried out a string of deadly attacks on domestic security forces and was known for training militants from around the archipelago. In 2014 he pledged allegiance to IS and earlier this year was placed by the United States on a list of global terrorists. "The group is obviously weakened now that we have got the leader," national police chief Tito Karnavian told reporters, as he confirmed the militant's death. He said the country's extremists had wanted to transform Sulawesi's Poso district, where Santoso and his followers were based, into a "safe haven" and a regional power base. "With this group broken, their hope for a base there is gone," he added. After Indonesia suffered a string of Islamic extremist attacks in the early 2000s, including the 2002 Bali bombings which killed more than 200, authorities launched a crackdown that weakened the most dangerous networks. But Santoso's group remained a thorn in the side of the government, with the long-haired, gun-toting militant regularly appearing in videos urging extremists to launch attacks on the security forces. The picture has changed recently, with other cells now considered a greater threat -- Santoso was not believed to have played role in an IS-claimed attack in Jakarta in January that left four attackers and four civilians dead. But his death will still be seen as a significant blow to Islamic militancy in Indonesia. 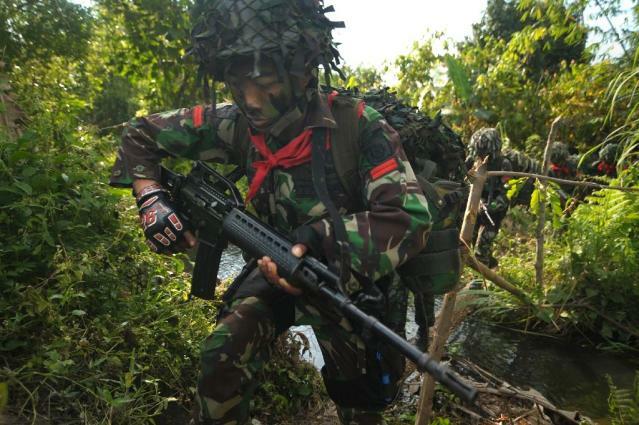 The extremist, known by several aliases including Abu Wardah, was killed alongside one other militant in Tambarana village in Poso. Police said the pair were killed beside a river and a rifle was recovered. Two women, one of whom was suspected to be Santoso’s wife, and another man, escaped from the gunfight. Following a sustained campaign by security forces, authorities believe just 19 members of Santoso's group now remain on Sulawesi waging a guerrilla campaign against the government. Santoso also attracted militants from abroad, with several members of China's mostly Muslim Uighur ethnic minority travelling to Indonesia to join his group. Several were killed fighting with the Eastern Indonesia Mujahideen, and in July last year four Uighurs were jailed after being caught on Sulawesi attempting to join the group. Santoso became involved in Islamic extremism during bloody fighting between Muslims and Christians around Poso from the late 1990s to the early 2000s which left hundreds dead. He went on to form the Eastern Indonesia Mujahideen and quickly jumped to the top of the most wanted list after his men began killing police officers.